In 1994 I got my first ham license. It was a novice license that allowed me to operate on 2m FM with low power. My Yaesu FT-227R produced a whooping 10w output. This was quite a change from my pre-ham period where I ended up working DX on 11m SSB with 200w. To make the most out of this situation I bought a good antenna - a Jaybeam 10 element beam. This I was able to install on a good location as I was at the time living on the top floor of a 4-story apartment building. The building was to be demolished which was good news for me as a student at the time (cheap!) but also for me as a ham. No one was going to care a lot about antennas on the building. Although I did get an official warning note from the janitor a few days after putting the antenna up. It was never followed up however. 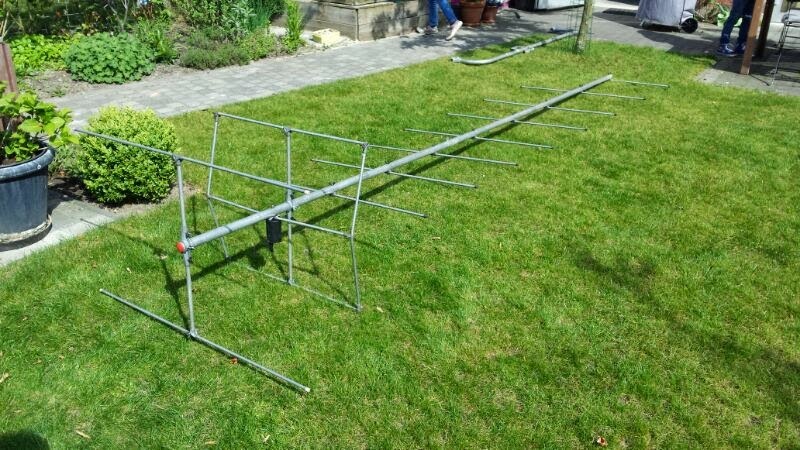 2 week ago PD7YY presented me with a good reason to return to 2m. 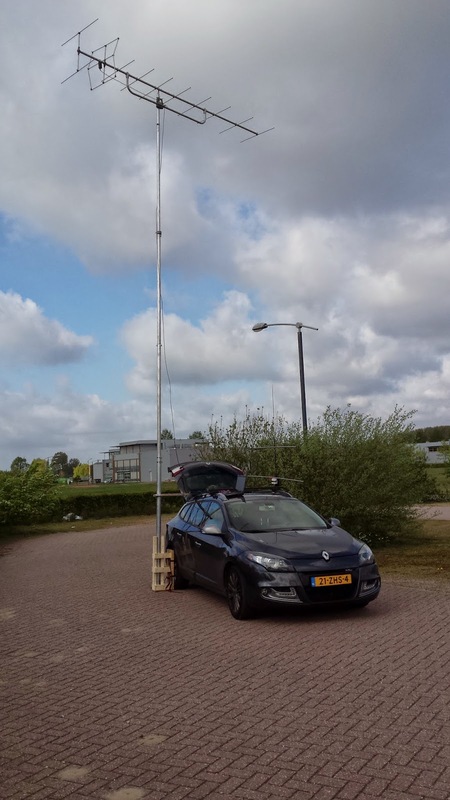 He was out /P on one of the Dutch islands (EU-038) and brought a 2m antenna. I dug up my antenna to find it in a not too glorious state. The cardboard box was falling apart and quite a number of bolts and nuts were oxidised. There was no manual to be found anywhere. Clearly I did not keep it and there was nothing on the web. Looking at the parts I saw it was not a straightforward yagi as there were some bent parts and funny clamps. 20 years onwards I just was not sure what the beam had looked like. With PD7YY and PG8M I planned a time slot to try and work EU-038. I partly disassembled the beam, took my home made mast and drove to my favourite weekend /P location on a deserted parking. Re-assembling was a piece of cake (once you know what the beam is supposed to look like). With the beam at about 9m high and 50w output from the Yaesu I was not surprisingly able to hear and work PG8M (25km away). PD7YY (160km away) was able to hear both of us in CW. I could not hear PD7YY however, while PG8M could only hear something weak in the background. So no QSO with EU-038 unfortunately. While listening around I did hear some stations in DL up to 500km away and contacted one at 200km - a new ODX for this band. 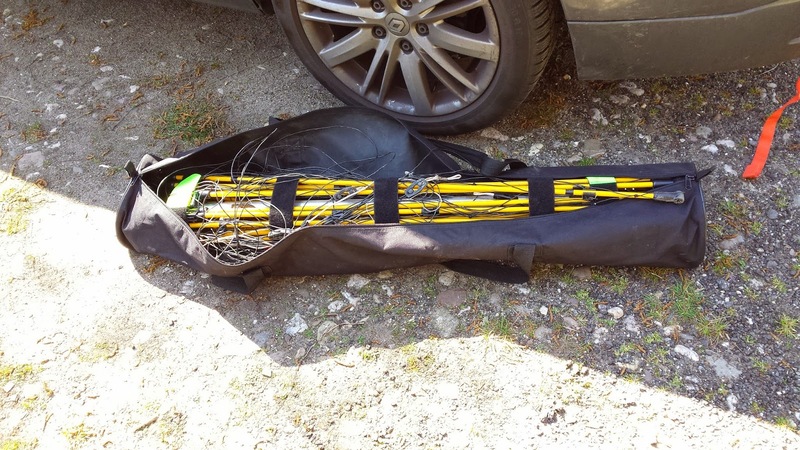 If you are wondering: "is bringing a hexbeam to a short portable operation worth my while? ", then this post is for you. It has become a bit lengthy.. so bear with me. Over time I got numerous questions about the hexbeam I am using when working portable. 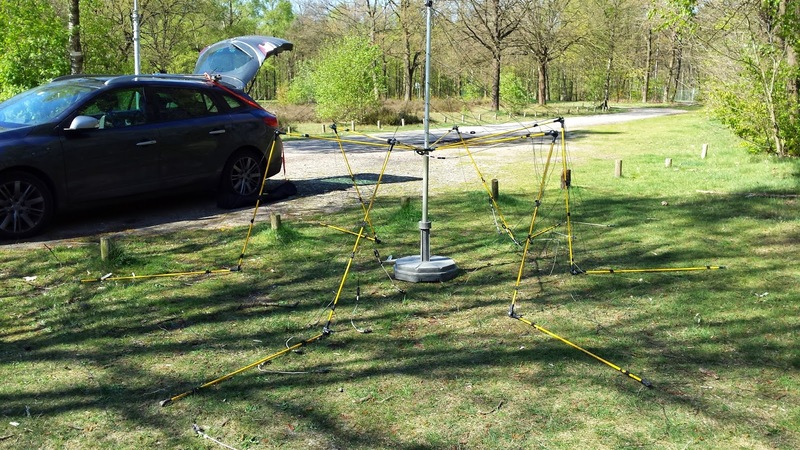 The hex is a 2 element beam on 6 bands and allows me - especially if I bring a little heater with me - to put in decent signals even to very remote locations. 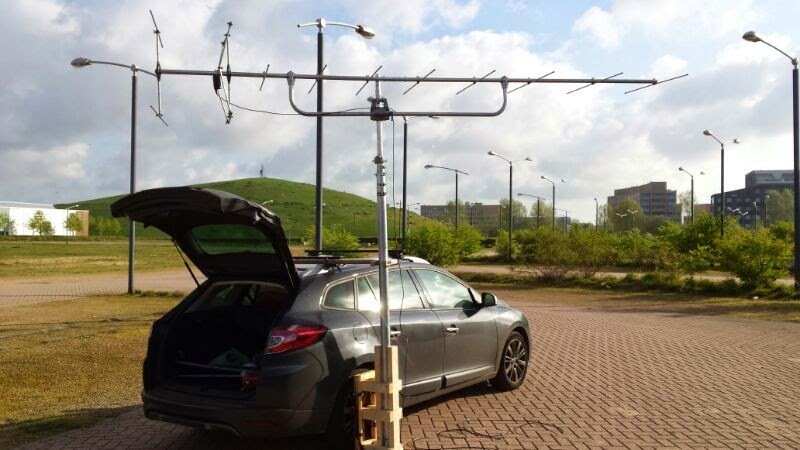 A lot of answers about this wonderful antenna can be found in previous posts (start here). Here I want to go into the ROI of bringing the hex when time is limited. When I decide to play radio /P, I again have a number of options - like do I go out to fish DX or do I go out to activate a castle or a nature park? When I decide to go out to fish DX the antenna becomes an important subject. My favourite antenna is the end fed half wave wire antenna put up vertically on a fibreglass mast. It is easy to bring and easy to deploy. It is also amazingly effective, allowing me to work DX around the globe as long a conditions are good and pileups not too large. It is also a very practical antenna in that you don't have to turn it. On the other hand it only works on one band - so switching bands means taking down the pole and changing wires. If you look at DX effectiveness however a beam is the best option (hands down). 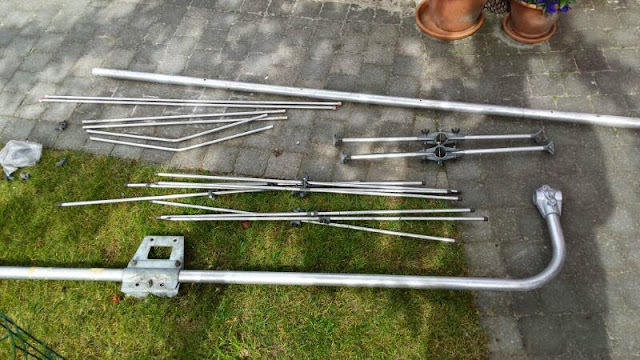 I have two HF beams at my disposal: my 4-el for 10m and my hexbeam. The hexbeam is of course the most versatile of the two, supporting 6 bands. This effectiveness comes with a price however: the beam requires me to bring more stuff (like a heavy mast) and takes more time to set up. Now we arrive at the main question: is it worth my while to bring a hex when I only have a short period of time to be /P? 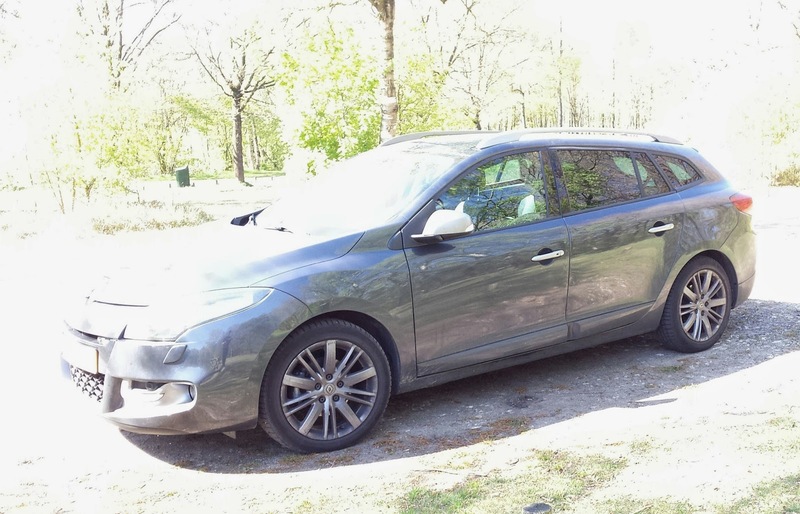 For me the net radio time on Wednesday morning = 3,5 hours minus (time to pack and unpack the car + time to drive to a place and back + time to set up and break down the station). Packing and unpacking is about 20 mins in total, driving takes about 20 mins (back and forth). So just under 3 hours left. The choice of antenna does not impact this a lot so far - just a few minutes to get the heavy mast and support stuff (un)loaded. How much of the 3 hours I can be on the air depends on the time I takes to set up the station and break it down again. How is that with the hex? To give you an impression I timed the breaking down of the station. Below you will find the visual story of breaking up the station, driving home and unpacking everything. Breaking down the station turns out to take 20 minutes. Setting it up will be about the same - although pushing out the mast probably takes one or two minutes more. So all this takes 40 - 45 minutes off of my radio time. 3,5 hours time leaves me just over 2 hours of radio time. Okay, but what is the impact of the hex? It turns out the hex itself now takes me 8 minutes to fold together and stow away (that is after a bit of practise). The mast and support take about the same amount of time to end up in the car. Setting up should be approx. the same amount of time - pushing out the mast is maybe a bit more time - so 35 minutes is the time the hex and mast take. Compare this to an end fed on a fibreglass pole. I can set that up and break it down again in less than 10 minutes. So, the investment is about 25 minutes of costly time. So I went DX fishing. Good for me. Did I catch anything? Vlad UA4WHX was on the move again. This time he was working from Easter Island (CE0Y) - a new one for me. 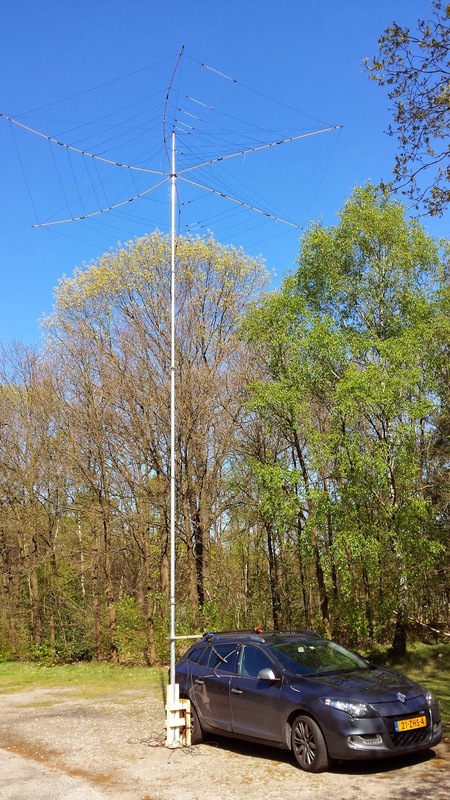 Even though there were more people out there trying to get in the log I was able to work him on 17m and 20m (simplex). 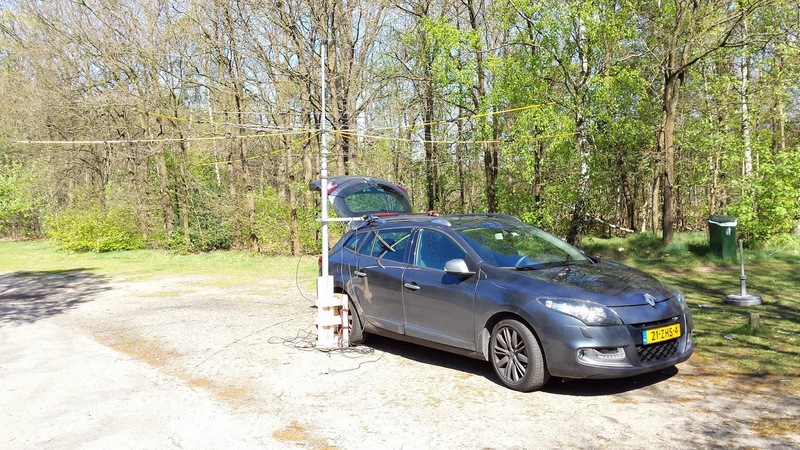 In the mean time I had a QSO with Garry VK5ZK, who was busy with a lot of EU stations calling him. He put in a good signal over the long path with his 400w and 3 element SteppIR but he also expressed his amazement at my signal while /P. Then I saw A35X on the cluster - another new one for me. After some 8 minutes I was in the log. Before going home I tried another A35 station but the operator was not very effective at crowd control and moved to CW after a couple of minutes. So.. DX fishing I added 2 new ones to my list (which is already above 200 - so it is getting more and more difficult to catch new ones). Average distance covered was well above 16k km. Is that worth 25 extra minutes.. ? "hell yeah".